Enjoy a festive celebration of the Appalachian folk traditions and other styles native to the Carolinas. 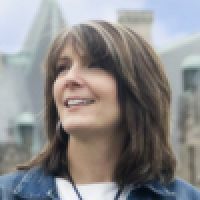 Two-time Country Music Association Female Vocalist of the Year, Kathy Mattea, is at center stage and is joined by regional talents VOX, The Beggar Boys, Abigail Haynes Lennox, and Christina Pegues. 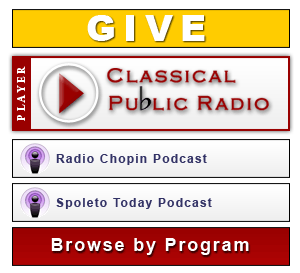 Enjoy a weekly program of the Carolinas' best live classical concert recordings. 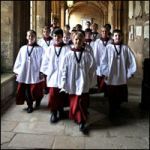 Hear one of the world's great male-voice choirs perform works by choral music's most celebrated composers including John Taverner, Orlando Gibbons, Henry Purcell, George Frideric Handel, William Walton, and Charles Hubert Parry. Concierto is a weekly program of classical music presented in English and in Spanish, particularly music by Spanish and Latin American composers and musicians. Frank Dominguez is the host. 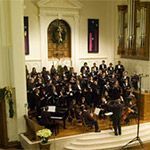 WDAV’s live holiday broadcast returns with a program of beloved carols and holiday music illuminated by scripture readings. We highlight this 2011 performance at St. John's Baptist Church in Charlotte, featuring the chorus VOX, directed by David Tang. Exciting concerts from notable artists including Barry Douglas, Gil Shaham, JoAnn Falletta, and Brevard Music Center Artistic Director Keith Lockhart. 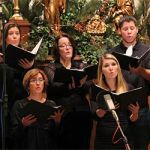 WDAV’s live holiday broadcast returns with a program of beloved carols and holiday music illuminated by scripture readings. The program this year features the chorus VOX led by David Tang as well as the Davidson College Chorale conducted by Christopher Gilliam, plus the North Carolina Baroque Orchestra, guitarist Robert Teixeira, and organist Andrew Pester playing the magnificent Letourneau instrument in the St. John’s sanctuary. Two hundred stories about "the poet of the piano," Fryderyk Chopin. Learn about his life, times, and music. A showcase of the best chamber music performances from the Spoleto Festival USA in Charleston. World of Opera encompasses the seminal operas of centuries past as well as today's masterpieces.